Frustrated that the nearly half-dozen companies he'd hired to keep his Murray Hill apartment clean were unreliable, unprofessional and often ineffective, Mike Russell believed that there had to be an easier way. So in 2009 he launched MyClean—the focus of this week’s Real. Est. List Spotlight Series—a housekeeping service with an online platform where customers can get price quotes, book appointments, and pay by credit card. “The idea was to take all the logistical details [of hiring a cleaner] and move them online,” says Michael Scharf, who joined the MyClean team in 2010 as CEO, serving alongside Russell, who is now chairman of the board. The company, whose cleaners come armed with eco-friendly products, currently operates in all the New York boroughs except Staten Island. After scheduling a job by choosing between a number of services (described below), customers can leave specific instructions for their cleaner online, letting them know what areas might need some extra elbow grease that session, if there are special directives for pets, or if you have a preference for particular cleaning solutions. “Our goal is to be the cleaning service of the masses,” says Scharf, who’s especially proud of MyClean’s customer-centric approach. If someone is unsatisfied with any part of their cleaning, they need just reach out and explain the issue. “We will always find a solution for the client,” he says, noting that MyClean will gladly send a cleaner back the next day free of charge if any part of the process was unsatisfactory. Though the company initially hired subcontractors to do the actual cleaning, they ran into some quality control issues, prompting the powers that be to make some changes. Nowadays, the firm employs upwards of 120 cleaners full-time—all of whom are insured, bonded and background-checked—and trained in the firm’s own 50-Point Checklist. A bible of sorts for MyClean’s cleaners, the checklist is a comprehensive account of everything that needs to be done before a cleaner can call it a day, including dusting above the fridge, double-bagging the trash can liners and leaving the toilet seat down. If you’re ready to book your cleaning appointment online, visit the MyClean website to begin the process. Provide your zip code to verify that MyClean services your area, then get a price quote by keying in the number of bedrooms and bathrooms you have (or the square footage of your entire apartment). 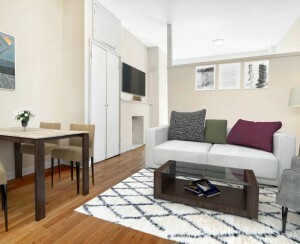 Pricing for a one-bedroom, one-bathroom dwelling on the Upper West Side, for example, would be as follows: Keep It Clean (see below for definition), $77.50; Get It Clean, $105.40; Move-In, $180; Move-Out, $140; and Deep Clean, $192. 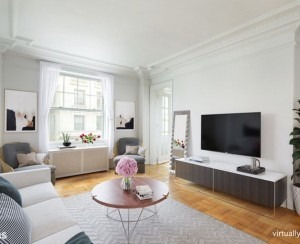 After viewing the quotes, you put in your contact info, and answer a series of questions, including whether you'd rather let the cleaner in yourself or leave a key with the doorman, and if there are any pets in the apartment. Then it’s time to schedule the appointment. Choose your preferred day and time from a calendar. If it’s before 3 p.m., you can even book for the following day. Type in any special instructions you might have for your cleaner, input your credit card information, and you’re good to go. Your credit card won’t be charged until after the cleaning is complete. And while tipping is not necessary, it’s not discouraged either. Keep it clean: This service is for clients who want their living spaces cleaned regularly. It includes garbage removal, changing of linens, dry and wet mopping, and kitchen disinfecting. Get it clean: Aimed at new customers, this service should be used when a customer has gone weeks without having his or her apartment professionally cleaned. It includes all Keep it clean services, as well as others not necessary when your place is being scrubbed down regularly. These include dusting the blinds, disinfecting the garbage cans and removing stains from counters and doors. Move-in/Move-out clean: Whether a client is moving into or out of an apartment, these services are designed to render an unfurnished space ready for a new tenant. Deep clean: Also known as the “spring clean” option, this is MyClean’s most comprehensive cleaning service, targeted at those who want every kitchen and bathroom cabinet cleaned, every shelf and drawer wiped, and the oven and fridge completely cleaned out. Post-construction clean: The only MyClean service that cannot be booked online, the Post-construction clean is for folks whose apartments have recently been renovated. Interested customers should call the MyClean offices for prices. 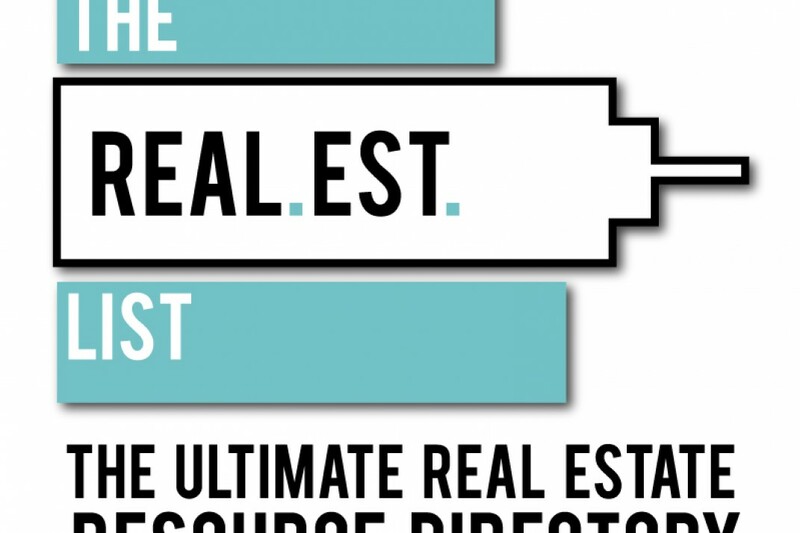 Check out The Real.Est. 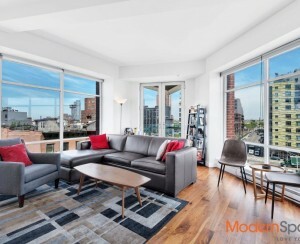 List, the ultimate real estate guide and resource directory for all those who buy, rent, sell or dwell in NYC. Want to get listed and put your business in the Spotlight Gallery? Click here to get started or email us.